This is the Business Processes area from the Samples section. It navigates you to the web pages of Business Processes solutions with diagram samples. Supporting processes such as HR management, accounting, and technical support. Process-oriented organizations use a systematic approach of Business Process Management (BPM) for continuous Business Process Improvement (BPI). When the optimization is not enough to achieve desirable corporate efficiency and productivity, then companies use Business Process Reengineering (BPR) strategy. event-driven process chain (EPC) diagrams. 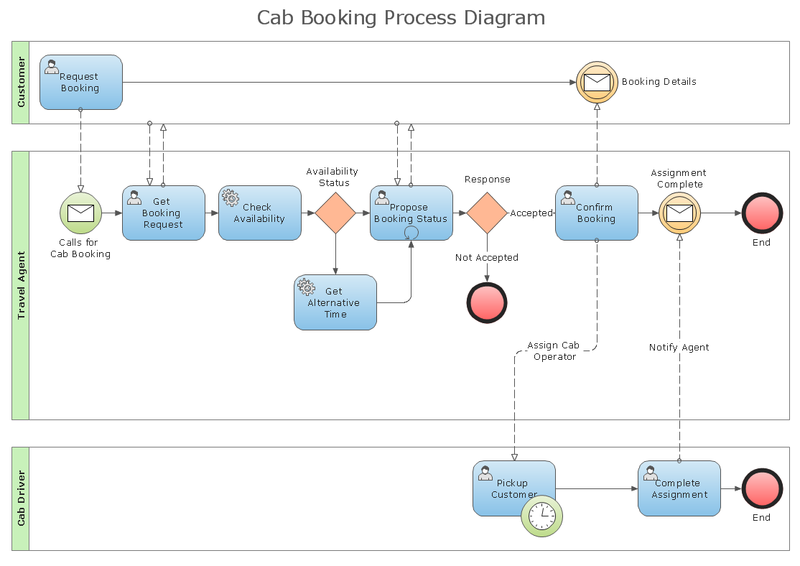 This webpage navigates you to the sample sets of all these business process diagram types.